Refined style characterized by valuable chromatic effects, where symphony of colors and pearlescent shades change according to the incidence of light. PERLACEO is a refined decoration easy to realize, perfect for reinventing with a personal touch environments oriented to contemporary trends. 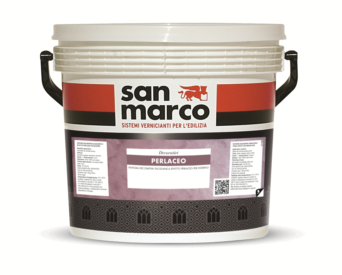 – Apply PERLACEO on a surface already prepared with DECORFOND.